Infotainment systems often are a deciding factor for car shoppers. Everyone seems to have their preference for how these advanced technology centers work and what features they offer. If you’ve been poking around on car websites or visited a dealership lately, you might have heard or read the term “infotainment”. While it might sound like a made-up word, infotainment is a legitimate jargon in the auto industry. But what is a car infotainment system? Infotainment systems often are a deciding factor for car shoppers. Everyone seems to have their preference for how these advanced technology centers work and what features they offer. Before you can formulate an opinion on which is best, you first need to understand what is a car infotainment system. Quite simply, an infotainment system is an in-dash system designed to both inform and entertain the driver as well as passengers. 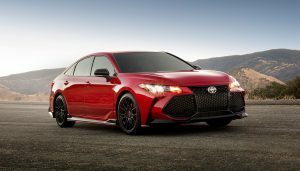 You’ve probably noticed the large screens in the center stack, or the area of the dash between the driver and passenger sides of the vehicle, in newer models. 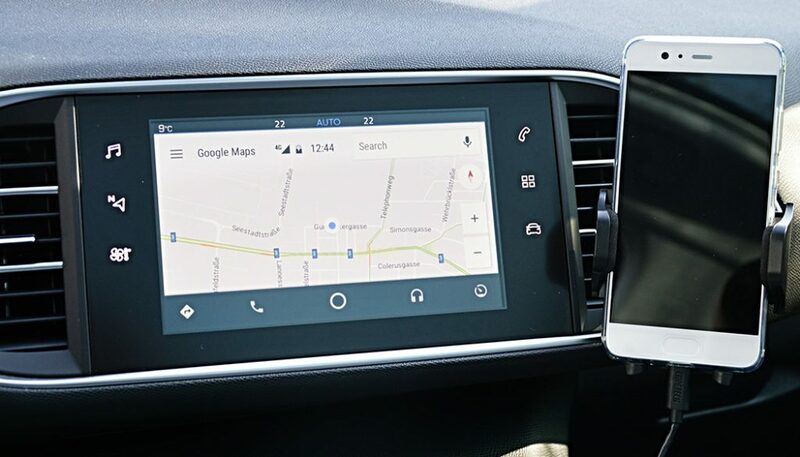 An infotainment system controls the sound system, which can include the radio, maybe a CD player, connected audio device, satellite radio, etc. On upgraded or luxury models it might also contain a navigation system. 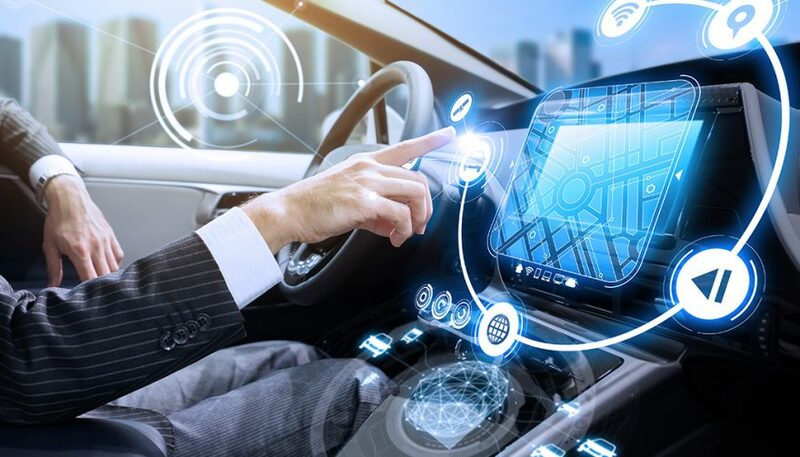 In addition, infotainment systems might do everything from notify when regular maintenance is needed to provide a digital copy of the vehicle owner’s manual. In some cars, the infotainment system even controls the heating and cooling systems for the cabin. If your car has a rear entertainment system, the infotainment screen likely manages what’s playing for passengers in the back. All are part of what is a car infotainment system. With hybrid and electric cars, the infotainment system helps you manage energy storage and the drivetrain. Modern driver assistance warnings, such as blind-spot detection and forward collision warning, often display alerts through the infotainment system, although those might show up on a smaller screen in the gauge cluster. As the technology continues to evolve, what infotainment systems do and what is a car infotainment system exactly will continue to change. Exactly how you interact with a car’s infotainment system is something which is constantly evolving. 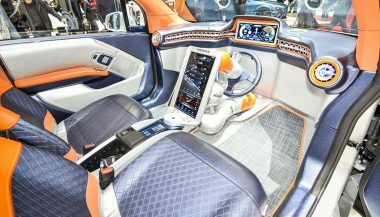 This is driven by two factors: technology and improve machine user interface, or studies on how humans can more intuitively interact with the infotainment system. With early infotainment systems, there was a sea of buttons and knobs to navigate menus and other options. As touchscreens became more practical, that method took over as an easier way to provide commands. If you’ve tried using a touchscreen on your dash while driving, you know how difficult it is to make the correct selection at 45 mph. Haptic feedback, like the screen pulsing when you touch digital buttons helps, but it’s not a perfect solution. Today, voice commands are become more common. Just speaking and having the system follow your verbal commands is compelling. The only problem is it doesn’t always work. Some automakers like Mazda have decided controls on the steering wheel is a better solution, while BMW and Mercedes each believe a separate controller with a unique design embedded in the center console is ideal. In some high-end vehicles gesture controls are available, so you just make motions in the air. As you might imagine, this can be just as problematic as getting voice controls to work properly. You might be confused by the many names automakers use to refer to their vehicle infotainment systems. Just know that this is a branding move. In other words, they are each an infotainment system and largely do the same things. Fiat Chrysler calls its systems Uconnect. Ford has Sync, while GM offers MyLink or Intellilink. Cadillac uses a different name, CUE. For Toyota the system is called Entune. Mazda just uses the name Connect. BMW used to call its infotainment systems iDrive but now uses the term BMW Cockpit. The list goes on and on. Just realize that just because an automaker has a fancy name for its infotainment system doesn’t mean it necessarily is really that much more advanced. When you get down to brass tacks, they all do pretty much the same things. In the past few years, the two big smartphone players have gotten involved in car infotainment systems. 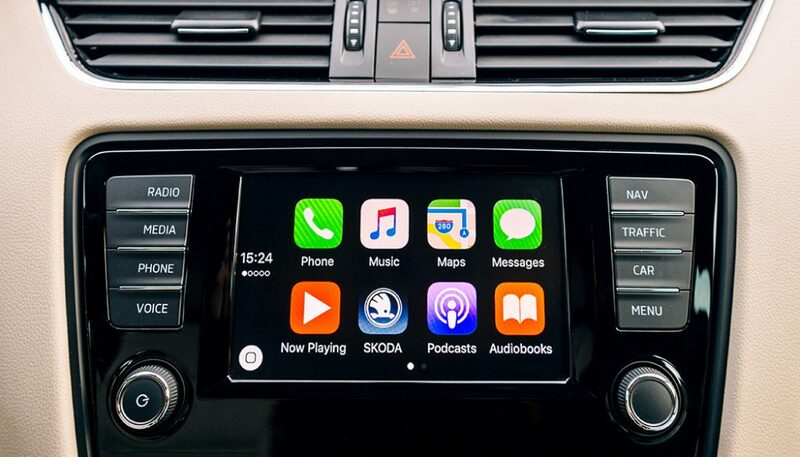 A growing number of new vehicles come with Apple CarPlay, Android Auto, or both. These interfaces have become so popular, some car shoppers will forgo options that don’t offer them. The finite details of Apple CarPlay and Android Auto don’t really matter too much. Just know that both project a portion of your smartphone onto the vehicle infotainment screen. That means you see those familiar icons and have access to certain apps. It’s a way to use what you’re already comfortable with, and to integrate your phone and car more seamlessly. 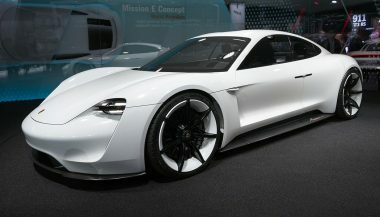 The phone can link up to the car through a USB port and cable or using a wireless Bluetooth connection. You can use apps in your car. For example, if you’re on your smartphone at the office and look up a restaurant you want to check out, without these interfaces you would have to type the address into your vehicle’s navigation system. Instead, once the phone is connected to the car, you already have the directions on the screen. It’s more convenient, which is what anyone who’s busy wants. 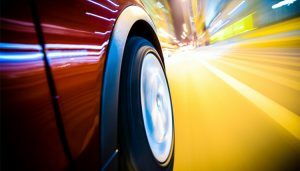 Questions that arise about driverless cars include the ability to override the autonomous controls, the driver’s function, and diminishing driving skills.